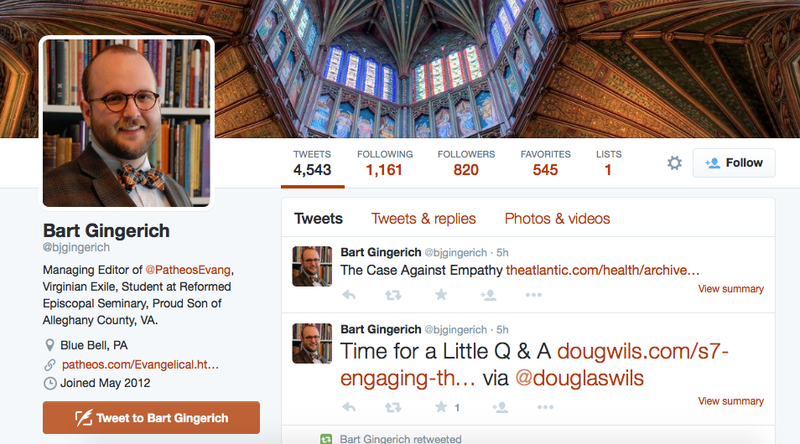 Content warning: Homophobia, White Supremacy, Anti-Blackness, Slavery Apologisms. 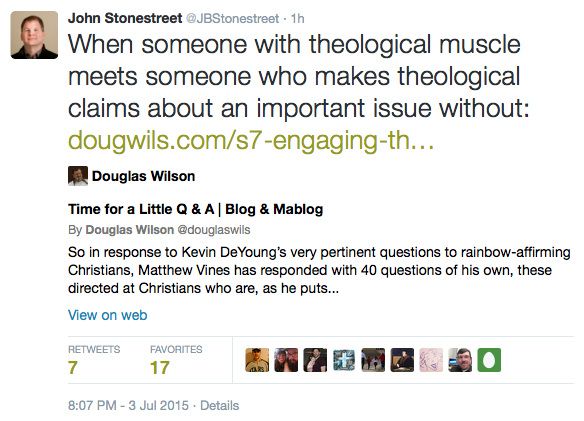 The following contains a list of notable and prominent Christian conservatives, fundamentalists, and evangelicals who has promoted Doug Wilson’s article, “Time for a Little Q & A.” That article was a response to Matthew Vines’s “40 questions for Christians who oppose marriage equality”, which was itself a response to Kevin DeYoung’s “40 Questions for Christians Now Waving Rainbow Flags”, in which The Gospel Coalition’s DeYoung bemoaned that “the whole nation” threw “a party we can’t in good conscience attend” and that LGBT* people stole the rainbow from Christians as a symbol (“We thought the rainbow was God’s sign”). Wilson also answers the the question, “Did you spend any time studying the Bible’s passages about slavery before you felt comfortable believing that slavery is wrong?” with the dismissive “Heh.” One gets the feeling that if Wilson was asked about the horrors of the Holocaust, he might also answer with a “Heh.” Wilson responds with such laughter because the fact is he does not believe slavery is incompatible with authentic Christianity. Wilson has penned two books, Southern Slavery As It Was and Black and Tan where his defenses and dismissals of the horrors of slavery are on full display. A few examples from the latter, Black and Tan, follow. The following excerpts contain direct, anti-Black, pro-slavery sentiments, so feel free to skip these if you find that triggering. This is the legacy of Doug Wilson. And while many conservatives and evangelicals try to dismiss Wilson as “fringe,” the fact is, he has held great sway over many of them. 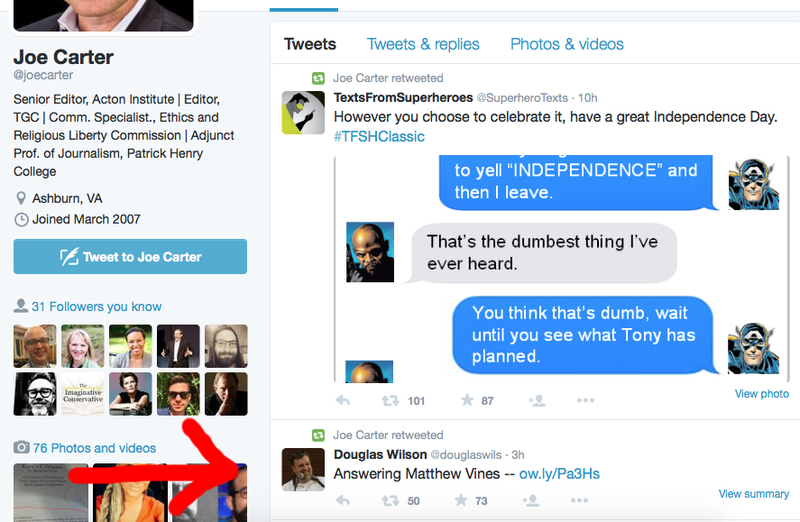 Joe Carter of the Gospel Coalition has tried to pretend otherwise, while at the same time Wilson is himself a contributor to the Gospel Coalition and Carter speaks alongside Wilson at Christian conferences. 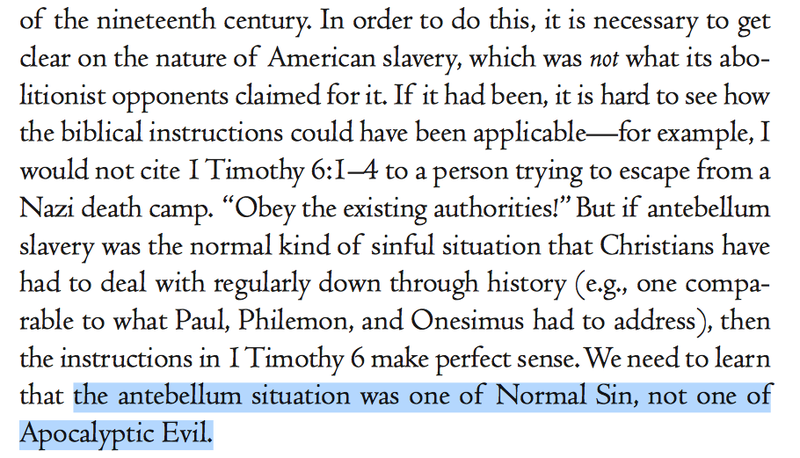 Now, one might argue that many of the people now promoting Wilson’s response to Matthew Vines are oblivious to Wilson’s anti-Black, white supremacist ideology. 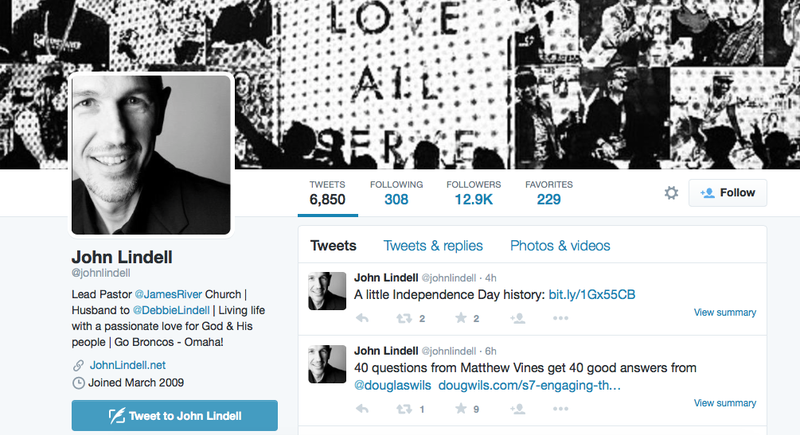 However, Doug Wilson’s response to Vines has Wilson’s anti-Black, white supremacist ideology at the front and center. He’s not hiding it. 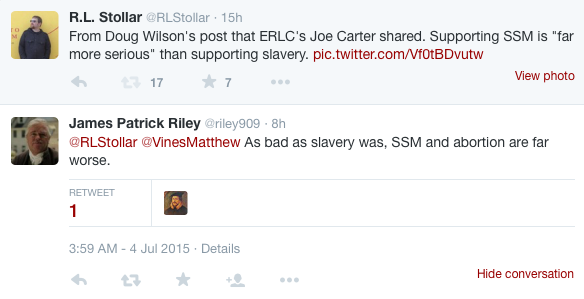 It’s amazing how Doug Wilson brings out the racist, anti-Black underside of so many White Christians. God forgive us. 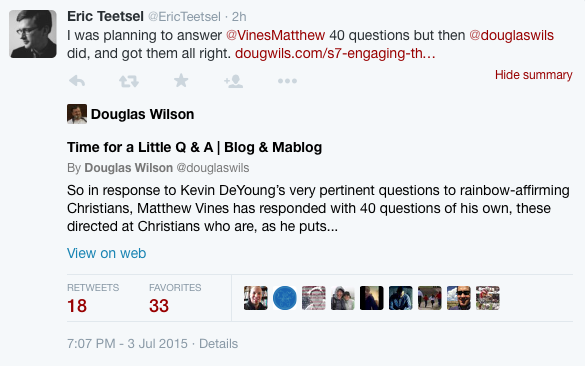 Doug Wilson has written a second post, “Up To Our Knees”, doubling-down/clarifying his original post. Below are excerpts from it. Again, the following excerpts contain direct, homophobic, anti-Black, pro-slavery sentiments, so feel free to skip these if you find that triggering.